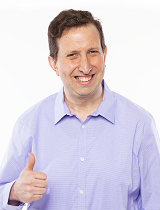 Dave Kerpen is the founder and CEO of Likeable Local, a social media software company serving thousands of small businesses, as well as the cofounder and Chairman of Likeable Media, an award-winning social media and content marketing agency. Get What You Want By Improving Your People Skills. 7 Simple Ways to Get Results. Why It Pays To Be Likeable. How to Infuse Entrepreneurship Skills Into Everything You Do. In a world where we are constantly connected, and social media has become the primary way we communicate, the key to getting ahead is being the person others like, respect, and trust. Because no matter who you are or what profession you're in, success is contingent less on what you can do for yourself, but on what other people are willing to do for you. Here, through 53 bite-sized, easy-to-execute, and often counterintuitive tips, you’ll learn to master the 11 People Skills that will get you more of what you want at work, at home, and in life. Praised by bestselling authors and industry CEOs such as Jeffrey Hayzlett, Chris McCann, Christian McMahan, Chris Stout, Chester Elton, Jim Tobin, and Adam Grant, Likeable Leadership explores the integral traits of what makes a leader likeable, leaving readers motivated to improve their careers and personal lives with Dave's action items. Whether you're a CMO of a Fortune 500 company, an entrepreneur, a recent college grad, or anywhere in between, Dave's anecdotes will inspire you, help you evaluate yourself and help you to become a better leader inside and outside the office. A friend’s recommendation is far more powerful than any advertisement today. It seems that everyone is connected 24 hours a day, seven days a week to Facebook, Twitter, Pinterest, and many other social sites. Each opinion, judgment, and idea is sent out to the world the moment it’s formed. Recommendations travel farther—and faster—than ever before. There’s no doubt a marketing revolution is afoot. TV, radio, and print ads are out—and personal likeability is in. When it comes to your business, one Facebook “like,” one Twitter retweet, or one blog post share can translate into major sales. But how do you get people to click? Written by Dave Kerpen—the expert on turning likeability into measurable profits—Likeable Social Media is about harnessing the power of the social web to build effective word-of-mouth marketing campaigns that will transform your business. In this fun but highly substantive read, Kerpen gives you the information and tools you need to truly engage your customers and help them spread your message far and wide. He reveals all the secrets to popularizing a brand by being authentic, engaging, and transparent—and he teaches you the same methods he used to redefine brands such as 1-800-FLOWERS.com, Neutrogena, Verizon FiOS, and dozens more.